Ford is extending its production run of the current Ford GT to 1,350 cars. Fans have until Nov. 8 to apply to buy one. Ford now plans to produce 1,350 of its $400,000 GT supercars, more than a third higher than the original 1,000-vehicle run it had planned when the two-seater was getting ready to come to market in 2016. As with the original batch, however, potential buyers still will have to go through a qualification process, the Detroit automaker primarily targeting loyal customers, particularly those who purchased an earlier version of the GT. 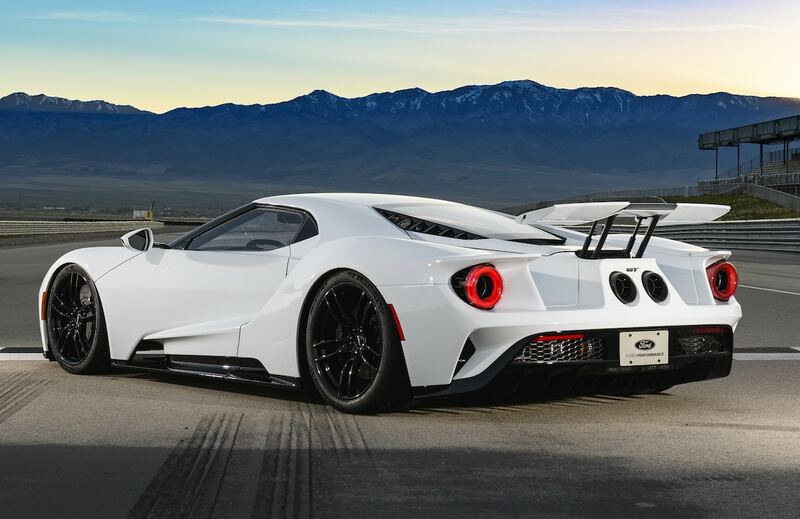 This is actually the second time Ford has increased the availability of the GT. When the company opened up its order bank in April 2016 it was intending to produce just 500 of the supercars. It subsequently doubled the run by adding two more years of production. Ford is producing another 350 GTs, bringing the run to 1,350 cars. It will now reopen the order bank on Nov. 8 in a handful of markets and it expects to complete the process within 30 days. Those who previously applied will have to confirm they’re still interested or place a new application. While not quite up to the standards for an adoption, Ford has been very strict when it comes to selecting buyers. Among other things, the carmaker has said it wants to sell the GT only to those who actually intend to drive it, rather than collectors and speculators who will just park it. Applicants who have owned other Ford vehicles have an advantage, especially if that included one of the earlier GTs. The supercar harkens back to one of the most storied race cars in Ford history, the original, known as the GT40, dominating the Le Mans endurance circuit more than a half-century ago. Legal issues forced the company to change the name of the street-legal versions to just the Ford GT. The automaker produced just 4,000 of the earlier version which was unveiled in 2002 in concept form and then sold during the 2005 and 2006 model-years. The demand for the Ford GT outstrips supply by six to one. The new model made a surprise debut at the Detroit Auto Show in January 2015. It was designed and engineered by Ford but the new GT is being hand-assembled by Canadian auto supplier Multimatic. Ford engineers put a premium on lightweighting, using a mix of carbon fiber, aluminum and other ultra-light materials. There’s even a first-of-its-kind Gorilla Glass windshield that shaves 12 pounds off the GT’s mass compared to a conventional windshield. 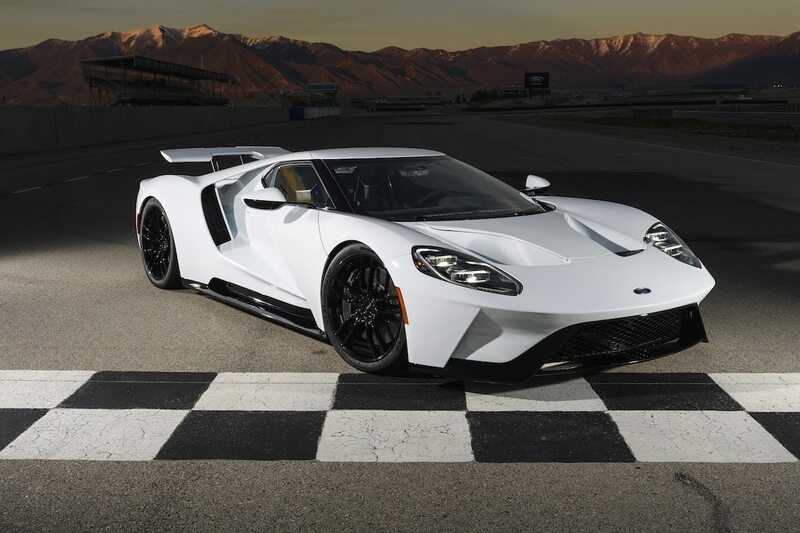 The car’s swoopy body panels, scoops and wing are all influenced by aerodynamics, designers aiming to both reduce drag and enhance downforce to keep the new Ford GT glued to the pavement at high speeds. 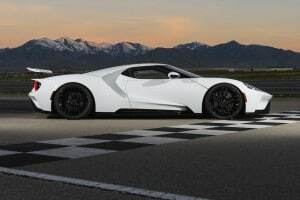 The Ford GT is powered by a heavily customized version of the carmaker’s 3.5-liter EcoBoost V-6, the twin-turbo package making 647 horsepower and 550 pound-feet of torque. It has a top speed of 216 mph. This entry was posted on Friday, October 19th, 2018 at and is filed under Asia Pacific, Automakers, Automobiles, China, Europe, Events, Ford, Markets, NAFTA, Sales, South America, Super Cars, U.S./North America. You can follow any responses to this entry through the RSS 2.0 feed. Both comments and pings are currently closed.